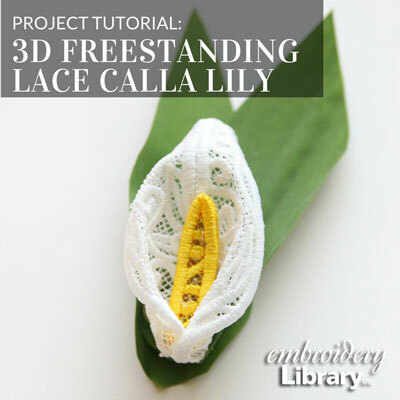 Simple and stunning calla lilies come to life with beautiful freestanding lace. 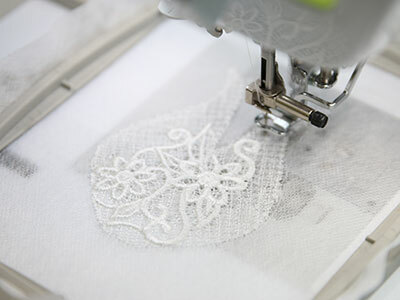 Stitch the three-dimensional embroidery designs as a lovely decor item in your home. 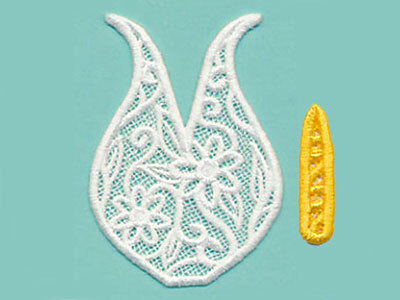 Large: 1 7/8" x 3 3/4"
To make a full calla lily, embroider just one of the file "a", and two of file "b". 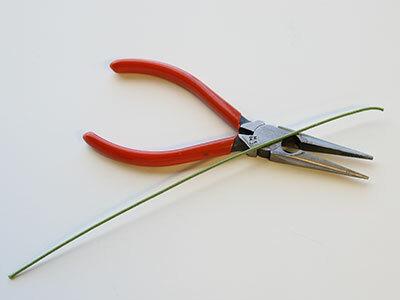 Cut the wire to 10" long with a needle nose pliers or wire cutter. 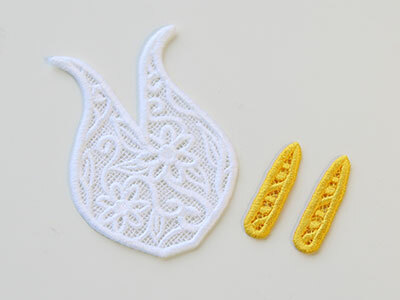 Take one of the embroidered center pieces (piece "b"), and hot glue the end of the wire onto the wrong side of the lace piece. 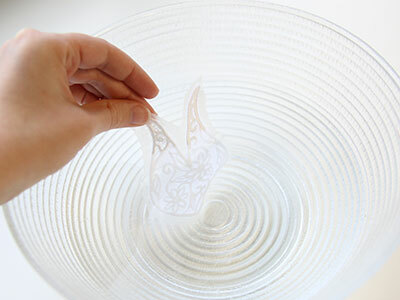 Take the other center piece, and glue it on top, trapping the wire between the two lace pieces. 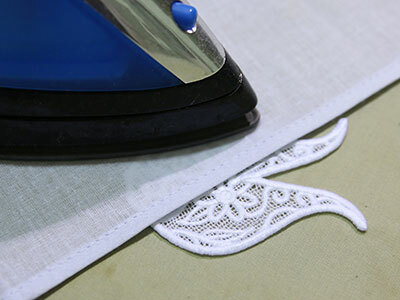 Make sure to glue the wrong side of the lace to the wire. 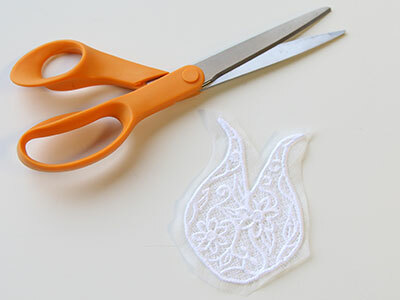 Now take the lace petal pieces (piece "a"), and fold it along the triangle dart with the wrong sides of the lace together. 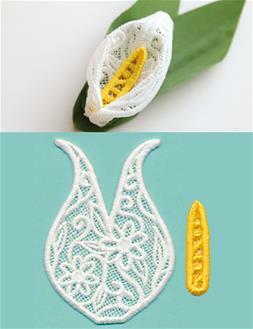 There is a purposeful channel left in the lace design of the calla lily along both sides where it will want to fold. 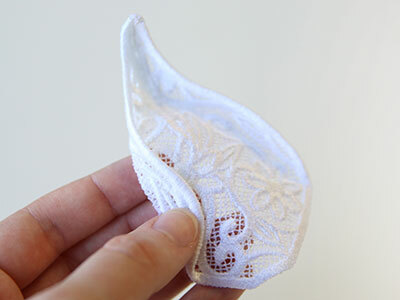 Fold the lace piece along both sides with the wrong sides together, and crease them with your fingers. 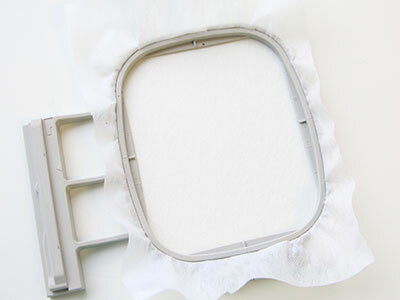 The right fold will go lower than the right. 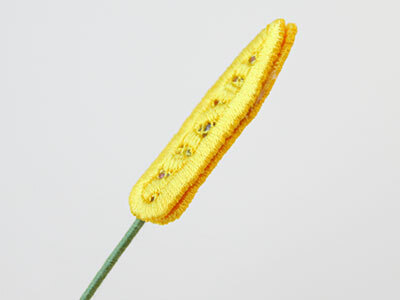 After folding the sides, press the center in towards the end of the dart to create the bowl shape for the flower. 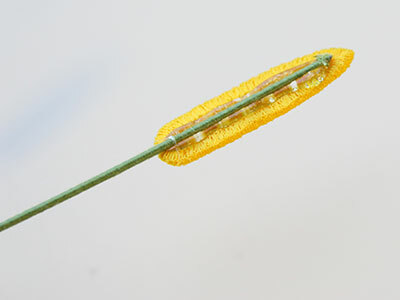 Wrap the lace petal piece around the wire and center, overlapping the right side (which folds lower) over the left. 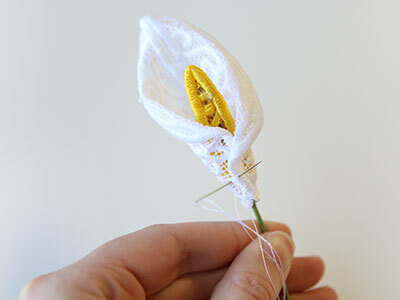 Using a hand sewing needle and the same thread as used in the embroidery, sew the petal overlap in place. 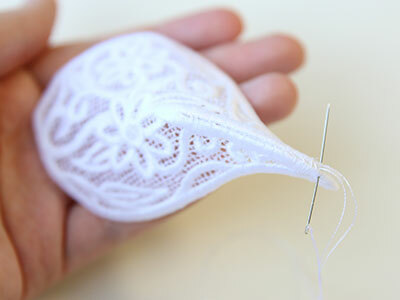 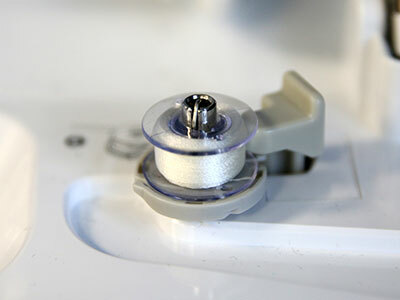 Then sew the petal piece to the center lace pieces to keep them from spinning or falling down the wire. 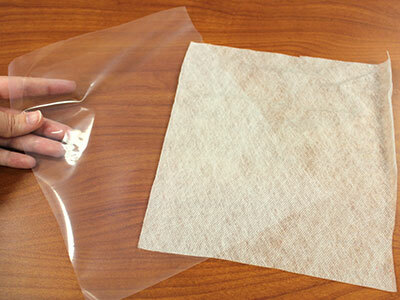 3.53" x 4.88" | 2.81" x 3.87"